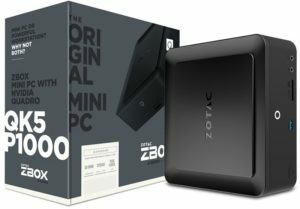 Zotac recently released their new workstation mini PC powered with NVIDIA Quadro graphics based on Pascal architecture – the Zotac ZBOX Q Series. The Q Series includes the following model: QK7P5000, QK7P3000 and QK5P1000. These mini PCs are powered with an Intel Core i7-7700T and i5-7200U (for the QK5P1000) with up to 32GB of DDR4 SODIMM memory. 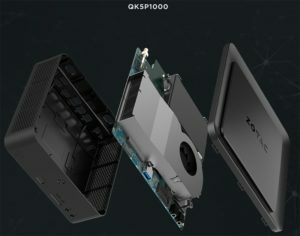 The ZBOX-QK7P5000 is powered with an NVIDIA Quadro P5000 16GB GDDR5 graphics card; while the ZBOX-QK7P3000 and ZBOX-QK5P1000 will be powered by a Quadro P3000 and Quadro P1000 respectively. 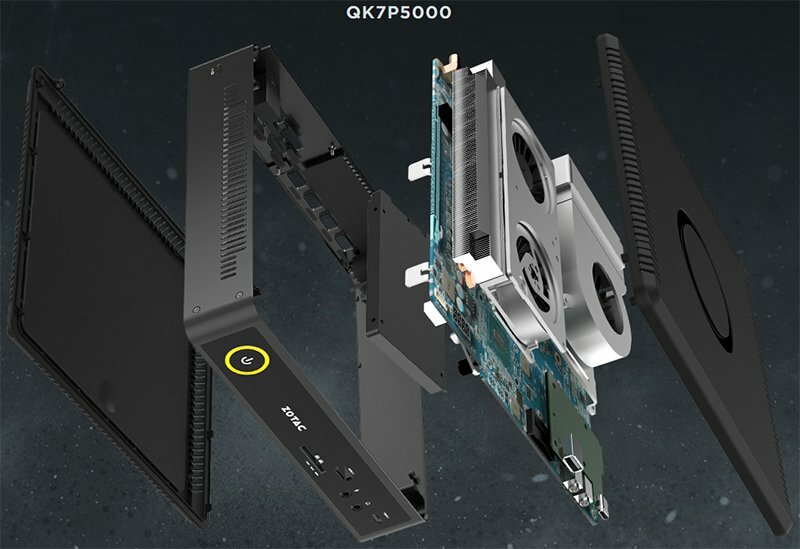 The Q Series supports the fastest NVME storage drives, as well as SATA storage drives; and it will feature various connectivity options, both wired and wireless. Check out more details below. 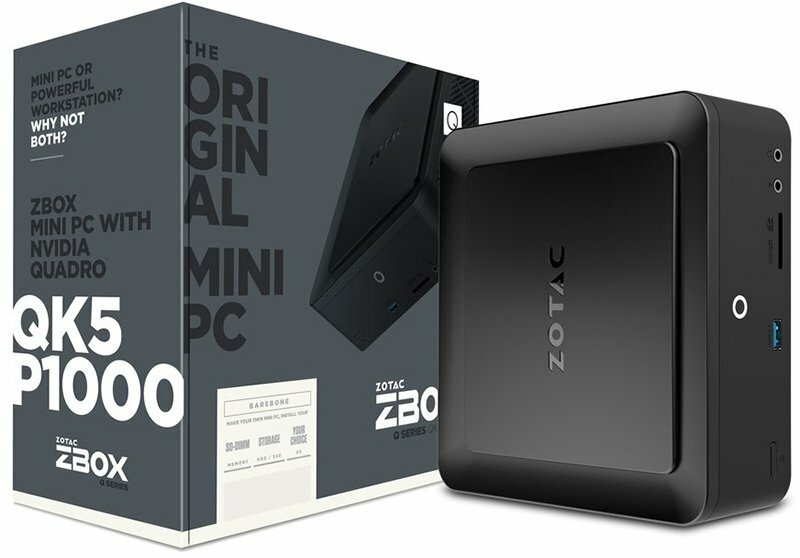 ZOTAC Technology, a global manufacturer of innovation, today introduced the ZBOX Q Series Mini PC featuring the most advanced and powerful NVIDIA Quadro GPU. 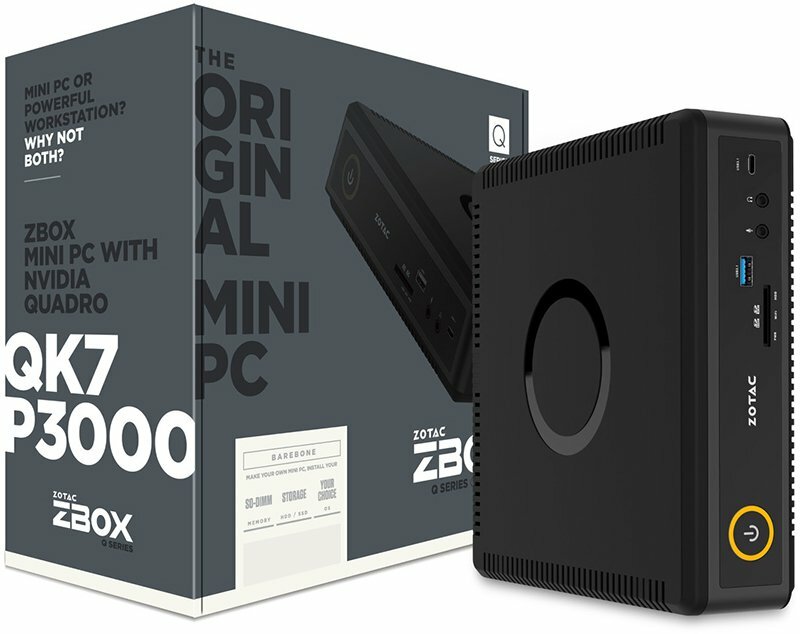 The new series addition to the ZBOX line up will demo at the NAB Show in Las Vegas, USA, emerging as ZOTAC’s first miniature but powerful workstation solution, as well as the world’s first NVIDIA Quadro graphics with Pascal architecture powered Mini PCs. 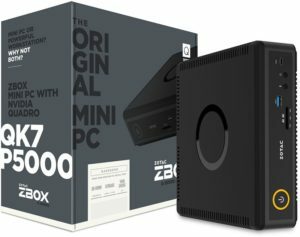 The ZBOX Q Series leverages the ZBOX Mini PC’s sleek and stylish design without compromising the industry leading graphics performance. From stunning industrial design and advanced special effects, to complex scientific visualization and sophisticated data modeling, the ZBOX Q Series transforms the challenges of today into successes of tomorrow. 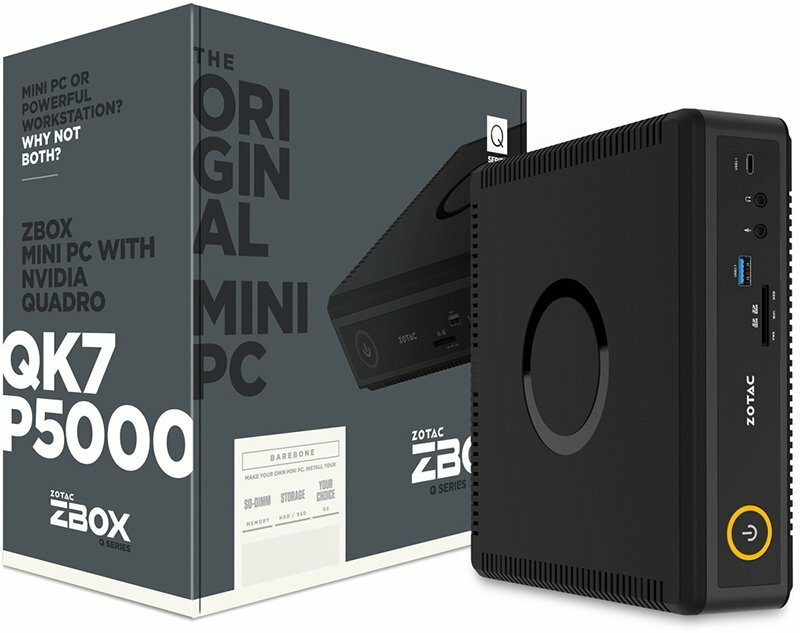 The ZBOX Q Series features the NVIDIA Quadro graphics with Pascal architecture ranging from the P1000 to the new VR Ready P5000 and are tested and certified to be fully compatible on all professional applications. All Q Series models come equipped with an Intel Core i5 or i7 processor to deliver fast, responsive, and energy efficient performance. “As the Original Mini PC Creators, we are proud to reach more potential users who demand professional-grade performance for intensive applications in the smallest of systems. The all-new Q series is not only a breakthrough to our ZBOX product line, but also a testament to the capabilities of smaller footprints that still resonate big and powerful,” says Jacky Huang, Product Director of ZOTAC Technology. All the systems support modern connectivity technologies, including dual Gigabit Ethernet, 802.11ac Wi-Fi, Bluetooth 4.2, USB 3.0, HDMI 2.0, up to 32 GB of DDR4 memory, M.2 and 2.5″ bay for HDD/SSD storage device. The QK5P1000 adds nimble versatility and mobility with VESA mounting compatibility so you can lay it, hang it, or hide it behind a display.